Both the notes pages and the action point pages can be used using the Bullet Journal System if this is one of your preferred note-taking systems. The notes pages in the Meeting Notebook can be filled with tasks, notes and deadlines with whatever annotations you usually use in your regular journal so you can quickly extract tasks and todos, along with keeping a record in your Meeting Notebook of the important points in the meeting. If you have reoccuring points you might even what to use your own personal bullets to suit your needs. I keep a list of Task Icons at the front of my notebok just in case, but they are usually self explanatory – but great if I want to add something to my reading list or visit a website. 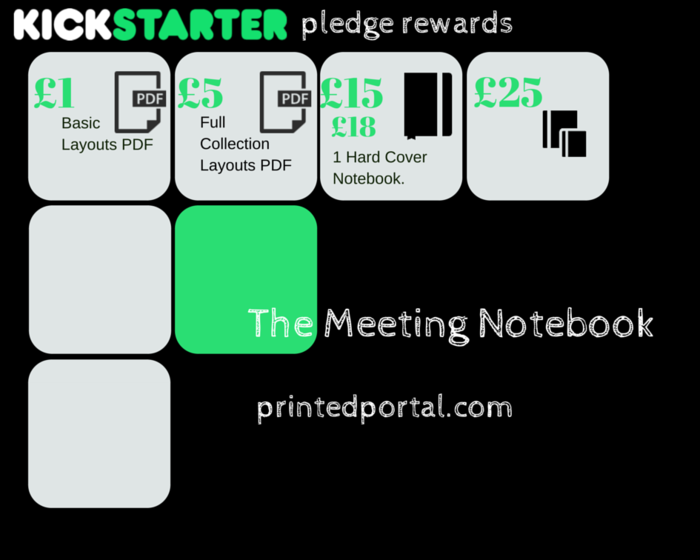 Our Meeting Notebook is currently LIVE on Kickstarter – Ends Friday 30th January. Get yours quickly. Getting Things Done or GTD is a time management method created by David Allen. 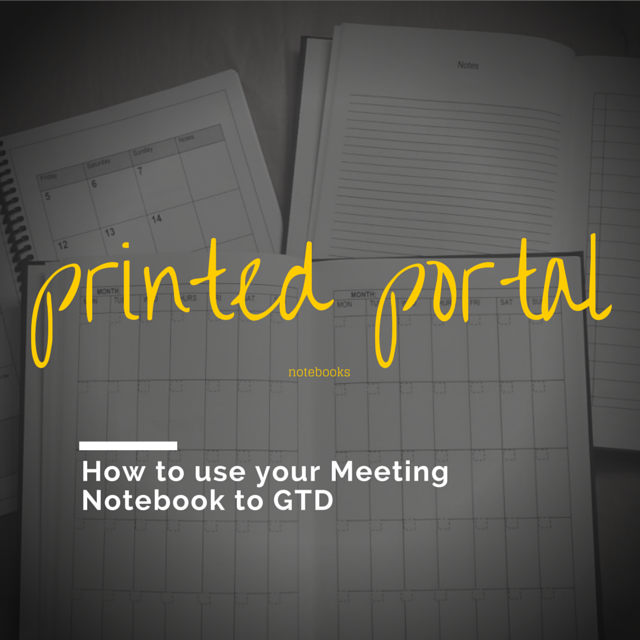 The GTD Method is about getting tasks and projects onto paper and breaking them into actionable items. A notebook like the Meeting Notebook can complement this style of working. Capture – Collect what has caught your attention. Clarify – Process what it means. Organise – Put it where it belongs. 2. Clarify – This step involves making this information capture actionable. At the meeting you should be clarifying with the other members of the team you need to be doing. Not only that, you should be clarifying what needs to be done to get the task done (whether this is asking the question of another colleague, or breaking it down into steps yourself). Clarifying done at the meeting I personally usually continue use the notes pages, clarifying combined with the next step ‘organise’ which are done post-meeting I often use the action pages of the notebook with this step. 3. Organise – This step involves organising and writing out your action points and/or follow up tasks. As mentioned above I usually do a combination of clarify and organise together over both the notes pages and the action point pages in Meeting Notebook. You can organise them in your usual way – you might write this in a logical order, an order of priority, group them by category and assign due dates. Whatever works for you. 4. Reflect – As part of your post-meeting review and organisation of your action points (the above steps) pick out your ‘immediate’ post meeting tasks. For example if you said you would email someone a copy of a document. For these type of tasks move straight onto the next step: Engage. With the rest of the follow up actions (which you can’t do immediate or within the appropriate time block) work out when and how you are going to action them. For example I usually schedule them in my calendar and incorporate into my to-do list and review these frequently in the normal way. 5. Engage – This step is about getting on with it and actually doing the work based on your organised list that you prepared earlier. 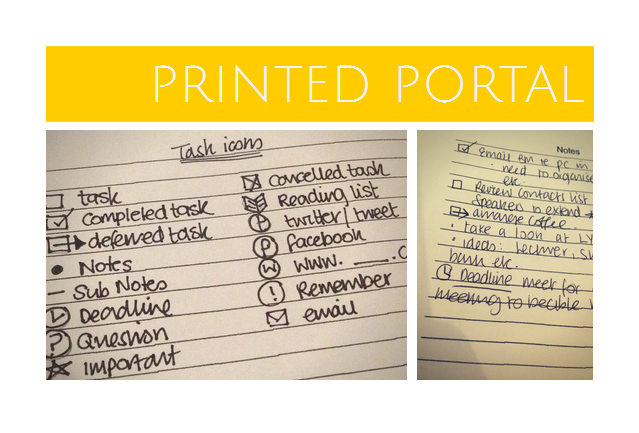 Simply work though the items on you action points page and get them done and ticked off before your next meeting. As well as face to face meetings you may have a lot of conference calls to attend. As an attendee you are often called upon and put on the spot. With many voices it can be quite a task to manage the information received during the conference calls let alone trying to focus and pull together the information in the moment as you prepare your responses. In a face to face meeting people can visually see that you are mentally preparing a response. This is not the case in a conference call – your response time has just been cut short. By using a notebook you can record the information as the call progresses and can refer to this information to formulate any answers to questions asked. If you use a meetings notebook you can also keep to hand any important information that you think you might need. Conference calls can be very fast paced and everyone can be distractedT.herefore note-taking can help. Depending on the pupose of the meeting you might also want to record who is saying what and what you said, together with any decision made and any action points. I find that taking notes note in a meeting – helps me focus in a meeting. Conference calls can be full of distractions that you don’t find in face to face meetings. Notetaking can make you focus specifically on what is being discussed. I find in conference calls the meeting is more likely to go off topic, jump around and change between topics (even when there is an agenda). 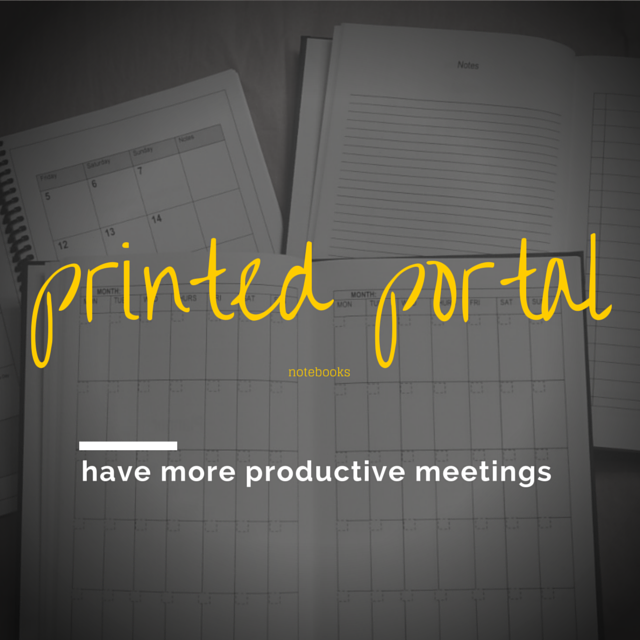 With a meeting notebook you can create lists for certain subjects. The notebook can of course be used in this way for all types of meetings but I find it particularly useful in conference call meetings for these reasons. 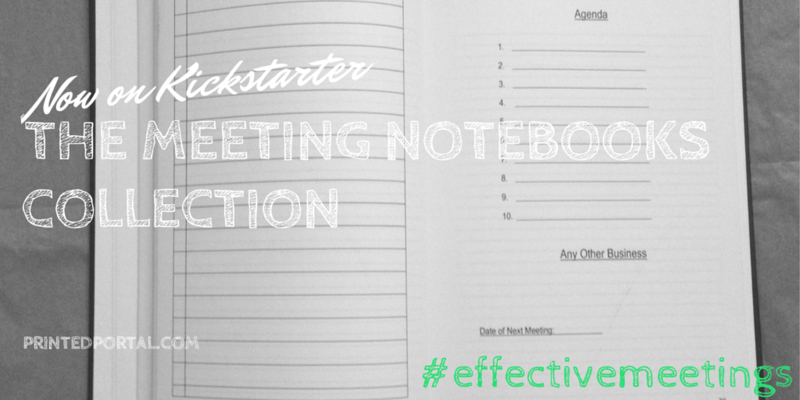 Our Meeting Notebook is currently LIVE on Kickstarter.